Welcome to Raysons Carpet Cleaning! We use the lastest technology in carpet cleaning, your carpets are left twice as dry compared to standard cleaners!!! 1). HEAVY VACUUM - we first do this to remove all dust and any top soil that is in your carpets. 2). 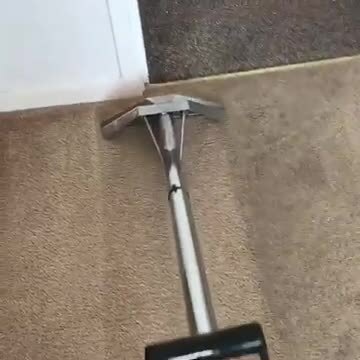 PRE TREAT - All areas to then be cleaned will then be sprayed with a powerful pre spray to break down any soiled areas or stains in your carpets. 3). AGITATE- after spraying the powerful pre spray we then brush It in so we can increase the probability of getting in contact with every fibre , every particle of soil that it has been applied to attack. 4). HIGH TECH TRUCKMOUNT CLEANING - This is the best possible way to clean your carpets, by doing this it will remove all excess soil and dirt In bedded in your carpets, getting to the root of the problem. (Please see image below) When finished it will leave your carpets looking & smelling as good as new! 5). TURBO DRYERS - After Extracting all the excess soil we then use air movers on your carpets to blow them bone dry! We do this because we want our customers to be left with fresh clean dry carpets. After using this method YOUR carpets are dry before we even leave!! The 5 stage cleaning process in action! So why choose us to clean your Carpets? 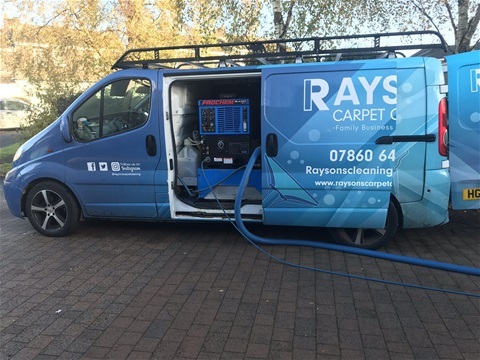 At Raysons we only use the most advanced carpet cleaning systems on the market, we do this to stay ahead of our Competitors and also to know that we are doing the best job possible for our customers. 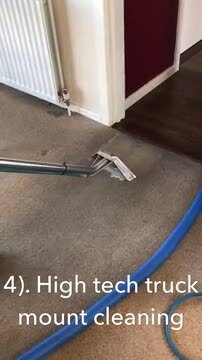 We use a truck mount cleaning system, (as seen in image) we are proud to say that we are the only carpet cleaning business in Cumbria that we know of to use a truck mount, this machine cleans your carpets twice as fast and leaves your carpets twice as dry, compared to a portable carpet cleaning machine.